Avalara 2018 Predictions: How will financial, tax and security tech change in 2018? How will financial, tax and security tech change in 2018? 1. Blockchain will herald the beginning of the end of the tyranny of PDF/email-based invoicing. Bitcoin continues to garner headlines, but in 2018, the underlying blockchain open ledger technology will generate the most business buzz. Blockchain has far more game-changing use cases than just tracking the ownership of digital currency. For example, it can serve as the basis for smart contracts, an idea we predicted some time ago that is steadily picking up steam. In 2018, using blockchain to automate and simplify the order/invoice cycle will take hold. Today's manual process of emailing PDFs and keying in the information is cumbersome, time-consuming and error-prone. With a private blockchain, the entire process can be automated and secure. The buyer's purchase order could be written to the ledger and received digitally by the seller. Using APIs, shipping and invoicing could be automatically initiated and confirmed. Once the product is received, payment could also be initiated via the ledger - perhaps using Bitcoin or another digital currency (or even dollars) - and automatically recorded when received. This potential to automate and shorten the order/invoice cycle will compel many vendors and businesses to explore blockchain's capabilities. 2. Get ready to share your entire ledger with the government. In general, governments around the world and state governments in the U.S. are looking for ways to get the taxes due to them faster and more reliably - while also reducing the potential for fraud. This effort will continue and also expand in 2018. Brazil and India have already established new regulations and many states in the U.S. are exploring their options. Driving these efforts is the increased digital automation in businesses, which has handed governments the ability to demand real-time reporting of transactions and full access to a company's digital ledger, so they can reconcile actual tax obligations against the amounts received. A first step toward this in the U.S. is the Streamlined Sales Tax (SST) initiative, which is an effort by states, local governments and many in the business community to simplify and reduce the burden of sales and use tax collection, administration and compliance. Merchants that want to participate in SST must provide ledger-level details in their tax filing. However, as governments recognize the revenue benefits and fraud reduction they can achieve, and as merchants realize the cost and efficiency benefits they can gain from automation, the drive toward real-time transaction reporting will accelerate. We predicted last year that in 2017 we would need to accept that all of the personally identifiable information (PII) businesses and governments collect about us is essentially public information. The pace and extent of data breaches has proved us right and despite new regulations, such as the EU's General Data Protection Regulation (GDPR), and new security technologies designed to protect PII, citizens in the U.S. remain particularly vulnerable to PII leakage and identity theft. As a result, look for 2018 to be the year when the U.S. government finally recognizes that its core personal identification system, a single lifetime Social Security Number, is wholly inadequate to the challenge. The solution likely won't materialize in 2018, but a discussion will begin about whether the new ID system should be based on some form of electronic identification card, similar to Belgium, Chile, Estonia, Germany, Israel, Spain and many others that are already doing so, or if it will take a more (or less) sophisticated form. We expect the debate to be intense and boisterous across all the stakeholders, including government entities, technology companies and private groups, and we can only hope that the optimal security strategy, not partisanship, will be the substance of these debates. 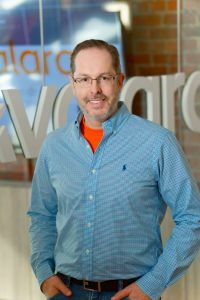 Peter Horadan leads software development and operations at Avalara. His extensive background includes leadership positions in engineering, operations, and client services. In addition to building and operating SAAS services, Peter has a long history of creating industry-leading commercial software products. Before joining Avalara, Peter served as a technology executive for several private and publicly traded companies, most recently Scout Analytics. Additionally, he has directed research and development at Concur Technologies, and has held leadership roles at Microsoft, Corillian, and BEA Systems.